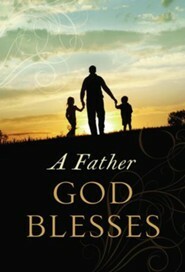 These topics will show fathers the value of their role and how to lead their family to know and love Christ. This book is a valuable resource for helping dads be the best they can be for their families, and for nurturing their relationship with their heavenly Father. Note: Discounts vary based on quantity ordered. Jack Countryman is the founder of JCountryman® gift books, a division of Thomas Nelson, and is the recipient of the Evangelical Christian Publishers Associations Charlie "Kip" Jordan Lifetime Achievement Award. Over the past 30 years, he has developed bestselling gift books such as Gods Promises® for Your Every Need, Gods Promises® for Men, Gods Promises® for Women, God Listens, and Red Letter Words of Jesus. Countrymans books have sold more than 20 million units. I'm the author/artist and I want to review A Father God Blesses - eBook.